Biologist Julia won’t tolerate another frigid Chicago winter studying the frozen Great Lakes. But with every hour of her flight delay, her chance on a research voyage in Florida slips further away. Jeremy must get to Florida to sever the noose-like obligations of his family's boating business so he can become curator of a Chicago museum. 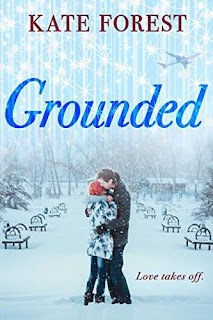 Stuck in an airport, waiting out the snowstorm of the century, can two travelers headed for opposite paths find love while trapped in Concourse B?